Cockpits usually seem to have windows that are high up and it doesn't seem from pictures that they would allow a pilot to look down so easily while sitting in their seat. Please correct me if that is wrong because that is the basic assumption of this question. Then how do pilots know where the centerline is on the taxiway and runway? They always seem to taxi with nose wheel almost always on that line even when turning. Are there some instruments that help them? Or its the same logic as in a car as to how you find out where the lines are? 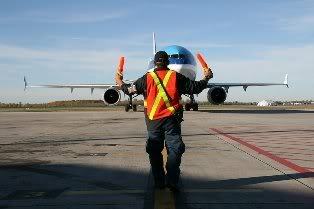 Aligning yourself in the middle of a straight taxiway isn't a problem. On the 747, if you put yourself in the middle of the taxiway as you see it beyond the nose, you'll be in good shape. If you're the captain, you can hold yourself a little left of the perceived center, but not much, because you're looking at from an eye level over 30 feet up as I remember. If the taxiway has those little metal reflectors sticking up on the centerline, you can play games trying to keep one of the nose wheels hitting them. You can just barely feel going across them. Or, since the nose gear is two wheels, you can play with getting the reflectors between the two wheels if you're really bored. Turns on a taxiway present a bit more of a challenge insofar as keeping the center line because the nose gear is behind you, but one develops a feel for it. A 90 degree turn from a narrow taxiway onto another narrow taxiway is a little challenging, especially if the taxiway you're on T's into the one you're turning onto. All you'll see out the front window as you start the turn is grass. Also, on narrow taxiways, you can't see the taxiway out the side window from your normal sitting position. If you need to do a 180 on a runway, you need to remember that when you first get yourself on, say, the right side of the runway, the nose gear isn't there yet, and the wing and body gear have even further to go. You have to run yourself along the side of the runway a sufficient distance so that the airplane is aligned with the edge of the runway before you start your turn. Personally, I found taxiing a 747 one of the more fun things in life. Airbus documentation claims the pilot can see 20° below horizon directly ahead (provided the seat is adjusted as recommended). Given the window of A320 is about 4m above ground, the closest point is about 11m ahead of them. And the nose wheel is more than 2m behind where the pilots sit. In larger aircraft it's of course proportionally further. So it's not that bad, but there is some problem. Out on the large taxiways seeing how the yellow lines extend to distance. It's really similar to a car. The closest point pilots see is further away, but the taxiways are proportionately larger. Last, some new aircraft have cameras that can provide video to cockpit. A380 has a camera behind the nose wheel for more precise taxiing and camera on tail that provides better perspective for judging clearance to obstacles as while wingtips are visible from cockpit in most aircraft, that angle makes it difficult to judge the clearance. For some tail wheel aircraft, the short answer is they don't. If you watch a Pitts Special, a P-51 Mustang, a Gee-Bee, or other large engine wheel in the back airplane, you'll see them make a series of "S-turns" as they taxi. The pilot sits too low to see forward past the engine when all 3 wheels are on the ground. The solution is to "zig zag" down the taxiway. That way you can look out one side then the other & have some idea where you are. Lets turn this question around. How do you stay in your lane when driving (not everyone can do this well)? Unless you are looking directly to your near side, you can't see the line on that side and you certainly cannot see the lines on the far side. So how do you stay centered in the lane? You use context cues and spatial awareness, extending the lines that you see the places they go that you cannot see. You know your vehicle and roughly where the lines you can see need to be visually placed to ensure you are in the lane. Airplanes work the same way. We see the taxiway markings ahead of us and we can infer where they are under us. We know our airplanes and where these markings should be relative to cues we have in the airplane to put the plane on the centerline. If there is one thing pilots tend to be good at, it is spatial awareness and keeping the airplane on the centerline is on application of that skill. 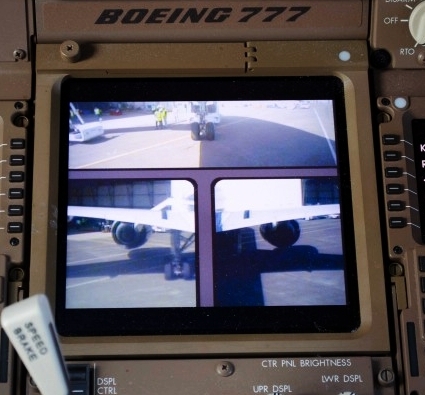 The B777-300 has a Ground Maneuvering Camera System (GMCS) which can be displayed in the flight deck. It is mainly used to aid in turns (due to the length of the fuselage), but also works well for keeping it on the center line in straight ahead taxing. In my experience taxing 727, 737, 757, 767, DC-9, MD80, L-1011 - if you kept the centerline between your legs you'd be ok. Sounds odd now that I type this and read it, but it worked. To me it is just one of those things you get used to doing. When I first started flying I would concentrate very hard while taxing and sometime miss the forest for the trees (what there was a plane at that intersection!!). But, after a while it becomes second nature. 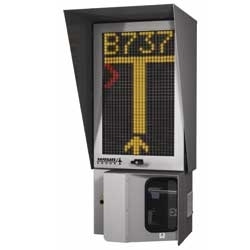 A bigger issue was using your feet instead of your hands to turn left or right. Also, learning to use differential thrust to bring a side around (turn left, increase right engine power) takes a bit of time. And correct aileron position in gusty winds can also be fun. Since my experience is all in piston single and twins, and a few light turboprops, I wonder if the big boys have the same issues. Not the answer you're looking for? 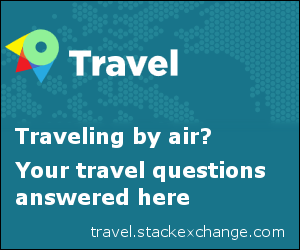 Browse other questions tagged taxiing or ask your own question. How do aircraft follow the tarmac lines while taxiing? What are the tools that aid accurate tiller-steering in large airliners? Would the Gee Bee be allowed to fly today, with so little forward visibility? How do larger aircraft compensate for reduced visibility from the cockpit, e.g. less visibility of the rear of the aircraft? What distinct challenges are faced in taxi operations that aren't found in other phases of flight? How does an aircraft taxi? How do pilots manage to remember ATC instructions? Operating a floatplane/seaplane on water through a drawspan? Is it permitted to deviate from yellow lines, during taxi?